Plantbiotech.bg is a web-based science and research news page which covers plant biotechnology topics. The web page is created to support the activity of Plant Biotechnology information center in Agrobioinstitute (ABI), Sofia. 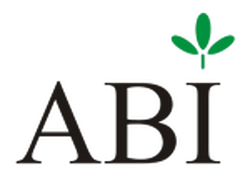 We are team of scientists from ABI, working in the fields of plant biotechnology. Our aim is to disseminate the achievements of world plant biotech and of the Bulgarian plant science, in particular, to researchers, society, stakeholders, media etc. We will try to make the scientific information on the web page available in a simple, understandable and convincing way to the broad public. Plantbiotech.bg is a bilingual page- English and Bulgarian and we hope to attract more Bulgarians to science and fascination of plant. The development of web page is supported by the European project STARBIOS2, Horizon 2020.